Ordnance Survey Ireland (OSI) surprised me by being very easy to report a typo in a Dublin Street Map. 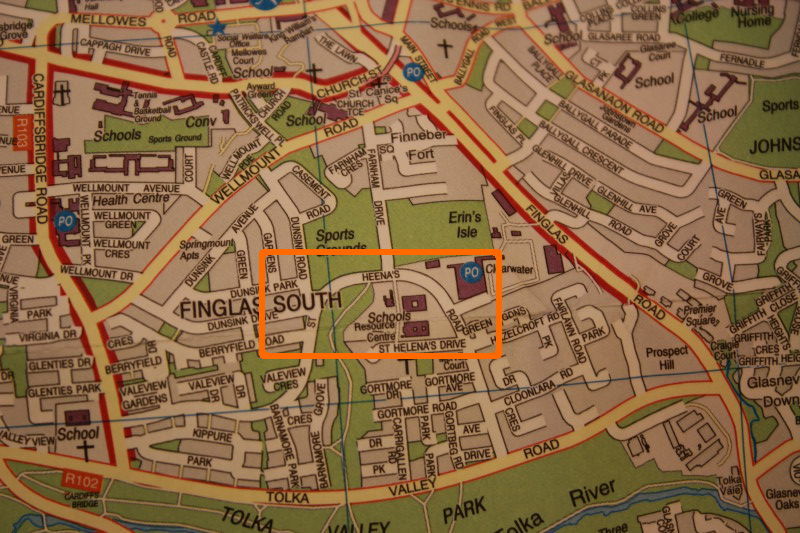 I was using my Dublin Street Map to get directions to a client meeting and found a typo on the map. I checked the accompanying index booklet and the road name was spelt correctly there. The typo is that “St Helena’s Road” in Finglas is printed as “St Heena’s Road“, the l is missing. 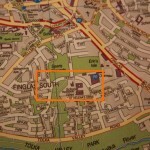 It is at grid reference E11 in the 20th Edition of the Dublin Street Map – Compact Edition. It is correct on Google Maps and I updated OpenStreetMap. As I always do, I decided to report the typo to the document owner, in this case OSI, the map publishers. As they are a Government service I wondered how easy it would be and whether I’d get transferred between multiple people before finding the right person or giving up. I was pleasantly surprised when I made the call – I was put through to a guy who grabbed a copy of the map in question and saw the typo. He took a note and said that he would get it fixed. He thanked me too!